Our company got into the Christmas spirit by participating in Martinis and Mistletoe, an event sponsored by the Melbourne Chamber of Commerce. 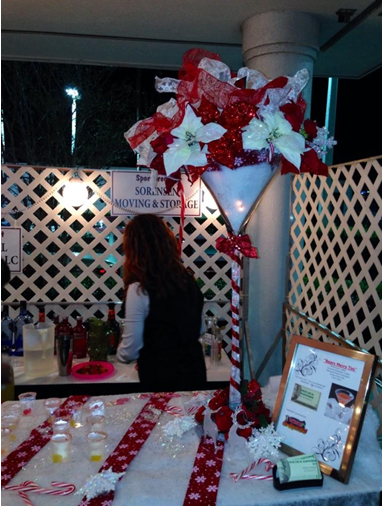 The evening brought many local restaurants together to compete for the best martini. Each restaurant had a booth, which showcased their signature martini. Guests were invited to try each martini and then to vote on the best one at the end of the night. 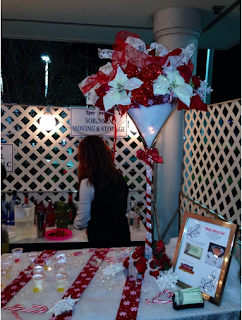 Sorensen participated by sponsoring a booth, which was bartended by Mike Pearce, and featured the Berry Merry Tini. Below is a picture of our booth, and another picture of our employees enjoying the evening together. We really enjoyed participating in this event. 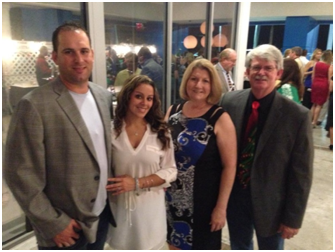 In addition to enjoying the wonderful food and drink, we had so much fun spending the evening with other business representatives in the area. We are always looking for ways to involve ourselves in the community, and this event did not disappoint!